One year contract from September 2019 with the option to extend to two years. Tristan da Cunha is an Overseas Territory of the United Kingdom. It is famously known as the world's remotest inhabited island. The island lies 1500 miles west of Cape Town and is accessible by a seven-day journey by sea from Cape Town. 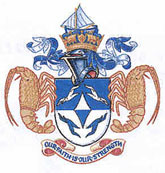 Taking the island's Strategic Sustainable Development Plan as the starting point, this role will support the Finance Department in the efficient and effective management of Accounting Services across the whole of the Tristan da Cunha Government as well as help implement initiatives and reforms to increase its long-term sustainability. Being a champion for best practice, you should have the flexibility of not only dealing with day-to-day regulatory and reporting but be able to take responsibility for all the TDC Government's statutory accounts. An attractive benefits package, which includes free housing, travel and medical cover will be offered together with the option to extend the initial first year's contract to two years. Closing date: COP, 30 April 2019. Interviews in May with a start date for September 2019.